Sure, two plus two is four. But if you’re here, you’re probably interested in exploring what’s beyond math’s basics. And your options are endless: statistics, calculus, geometry, abstract algebra, topology, differential equations and many more! Dig deeper into the incredible body of knowledge that constitutes mathematics by earning your degree in the field. Learn from highly qualified professors who care about your personal development just as much as your academic success. Work alongside peers who will challenge and support your intellect and welcome your enthusiasm. A faith-based perspective applied to the discipline will help you see the field in a new light. Plus, the problem-solving skills you finesse will apply far beyond just equations. A mathematics major will fully equip you for employment in the industry or for enrolling in a graduate program in mathematics. The curriculum is designed to give you an overview in a variety of areas in mathematics, as well as provide opportunities to study special topics. Ultimately, it will prepare a you for a position in the workplace requiring a working knowledge of mathematics or for admission to graduate programs in mathematics or statistics at major universities. The mathematics department at Lipscomb University prepares you to be an excellent teacher who is both mathematically sound and pedagogically proficient. 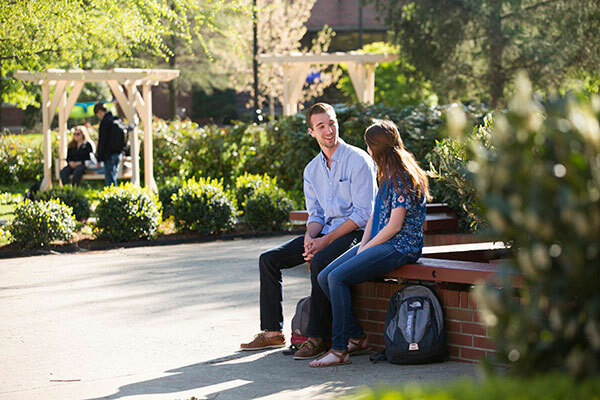 We work closely with Lipscomb’s nationally ranked College of Education to ensure that you are trained and up to date in the latest educational standards and trends. The extra hours of foreign language required for a B.A. make for a highly marketable degree due to the diversity of Davidson County and the surrounding areas. We have a very high placement rate for employment of our graduates. Recent graduates have been recognized for excellence in teaching. Two have been named Teacher of the Year in Metro Nashville within the last five years. The more mathematics an engineering, science, computer science or business student takes, the more jobs openings and graduate school openings are available to that student. The applied mathematics degree is an especially good choice for a double major for students who are already required to have a minor in mathematics, such as engineering and computer science majors. It also qualifies business students to work as an actuary. Mathematics majors take a two-credit hour Senior Seminar as their final course that provides a review of undergraduate mathematics and practice in problem-solving. Teaching majors spend their last semester student teaching. Regular mathematics majors are encouraged to complete a minor or second major in another subject area. Mathematics Applied, B.A. or B.S. Applied mathematics majors must complete a minor or second major in a science, engineering, business, or other approved subject area. Computer Science and Mathematics, B.S.